In the football world the use of unilateral extension options (hereafter UEOs) in favour of the clubs is common practice. Clubs in Europe and, especially, South America make extensive use of this type of contractual clauses, since it gives them the exclusive possibility to prolong the employment relationship with players whose contracts are about to come to an end. This option gives to a club the right to extend the duration of a player’s contract for a certain agreed period after its initial expiry, provided that some previously negotiated conditions are met. In particular, these clauses allow clubs to sign young promising players for short-term contracts, in order to ascertain their potential, and then extend the length of their contracts. Here lies the great value of UEOs for clubs: they can let the player go if he is not performing as expected, or unilaterally retain him if he is deemed valuable. Although an indisputably beneficial contractual tool for any football club, these clauses are especially useful to clubs specialized in the development of young players. After the Bosman case, clubs have increasingly used these clauses in order to prevent players from leaving their clubs for free at the end of their contracts. The FIFA Regulations do not contain any provisions regulating this practice, consequently the duty of clarifying the scope and validity of the options lied with the national courts, the FIFA Dispute Resolution Chamber (DRC) and the CAS. This two-part blog will attempt to provide the first general overview on the issue. My first blog will be dedicated to the validity of UEOs clauses in light of national laws and of the jurisprudence of numerous European jurisdictions. In a second blog, I will review the jurisprudence of the DRC and the CAS on this matter. Even though the DRC’s and the CAS’s view on UEOs matter most prominently in daily practice, it is impossible to entirely ignore the positioning of national laws and EU law vis-à-vis the legality of UEOs. In fact, as we will see later, arguments derived from national law also play a fundamental role in the assessment of the UEOs by the CAS. A comparative analysis of the UEOs validity under national laws is extremely difficult to conduct, as these clauses are relatively rare outside of football and the few rulings of lower level national courts are difficult to access. In an ordinary employment contract, deprived of the specificities of the sporting context, it is hard to fathom the utility for the employer to have the power to extend the contract unilaterally at his or her will. Due to the operation of the transfer market, football players are in a peculiar employment condition, hardly comparable to that of any other employee. The investments clubs make on training footballers and their transfer value contribute to this unique employment relationship to the extent that footballers are considered intangible assets for the clubs. Given the difficulty of comparing hardly comparable situations, the only way to proceed to a comparative overview is to attempt to produce comparative snapshots, which, due to the limited amount of space, are necessarily incomplete. It should be noted that the principle of parity between the parties is not considered part of the Swiss ordre public. Consequently, if a case has to be decided on Swiss territory according to a foreign law that allows for the use of unilateral extension options, Swiss law cannot prevent the application of such clauses. However, if the clause leads to over extensive commitment on the side of the employee, it might be considered an infringement of the ordre public and, thus, be deemed null and void. According to a first ruling of the Labour Court of Ulm, some UEOs are considered null and void. It concerned a one-year agreement (valid from 1 January 2007 to the end of season 2007/2008) between the club and the player, which contained an UEO giving the club the right to extend the contract for one more year. The Court held the option invalid. More precisely, the Court considered the unilateral option ineffective. Based on Art. 307 para. 1 BGB, provisions in general terms and conditions should be considered invalid if they unduly penalize the contractual partner and are not accompanied with appropriate compensatory measures. In the present case, the Court found that the unilateral option clause served only the purpose of providing the employer with an additional income in the form of a transfer indemnity. In these conditions, the UEO amounts to a disproportionate restriction of the freedom to work enshrined in Art. 12 of the Grundgesetz (German constitution). Nonetheless, a few years after the decision of the Labour Court of Ulm, the German Federal Labour Court held (implicitly) another UEO clause for valid. The Court dealt with the option only incidentally, as the case mainly revolved around the validity of the resolution agreement signed by the parties. The player, 15 years old at the time, and the club had originally concluded a contract for a period of four years (from 1 July 2006 to 30 June 2010) with the option granted to the club to unilaterally extend the relationship for another year (until 30 June 2011). Sometime after having joined the club, the player started suffering psychological pressure due to a series of personal circumstances and expressed the desire to terminate the contract prior to its natural expiry. The parties then signed a resolution agreement, pursuant to which the club agreed to a resolution in return of a payment of € 40,000. The decision was focused on the validity of that agreement, it only briefly scrutinised the extension option and considered it compatible with the framework of § 15 Abs. 4 TzBfG (or of § 624 BGB for free employment), due to the fact that the length of the contract respected the maximum binding time of five years. The Court emphasised, in fact, that this is the threshold a fixed-term employment contract has to observe in order to avoid curtailing excessively the employee’s personal freedom and added that the standard is consistent with the principle of freedom of work and of choice of work enshrined in Art. 12(1) of the Basic Law. It takes a bit of legal extrapolation to conclude that any jurisdiction plainly authorizes UEOs, given that none of those examined for the purpose of this blog has a labour legislation in place which expressly supports the validity of UEOs. However, in the Netherlands, where the national labour legislation does not contain any provisions on UEOs, the only known (private) decision to date recognized the validity of such clauses under Dutch law. In the dispute between the Tunisian football player Hatem Trabelsi and his club Ajax Amsterdam the unilateral option included in the contract was deemed to be valid and binding. The ruling found the option compatible with the dismissal system provided by labour law in combination with contract law. A very common framework among jurisdictions seems to reflect the specificity of sport in that it makes footballers’ employment contracts sort of double-layered agreements regulated by employment legislation on the one side and by Collective Bargaining Agreements (CBAs) on the other. In this context, the various legislations delegate to CBAs the duty to outline the details of footballers’ employment conditions, among which one often finds the requirements for UEOs to be validly included therein. In Belgium, player contracts are mainly regulated by provisions of employment law, in particular by the Act of 3 July 1978 on employment contracts (the Employment Contracts Act). Yet, with regard to option clauses, the Football Collective Agreement of 15 February 2016 states that, although in general these options are not valid, they are not considered to be unilateral under certain conditions. According to Art. 15 of said agreement, if the clause (i) is agreed upon in writing at the outset, (ii) provides a total duration, extension included, of the relationship of maximum 5 years, and 3 years for under 18 players and (iii) provides for a certain increase in salary (at least 15% of the fixed remuneration and 5% of the match- or selection premium, or 20% of the fixed remuneration, whereby the increase does not need to exceed the amount of 20.000 Euro), it might be considered valid and binding as not unilateral. In Italy, the employment aspects of sports are regulated by the Law 91/1981. This special legislation, according to which some of the dispositions applicable to subordinate employment do not apply in the sporting context, was enacted to reflect the peculiarities of the employment relationship in sport. This legislation does not include any express provision covering UEOs, but – while generally stating at art. 5 that the duration of the fixed-term contract cannot exceed five years - it relies on the CBA for specific contractual requirements. Art. 2 para. 2 of the CBA states that “option agreements are permitted both in favour of the Club and the Player, on the dual condition that a specific consideration is provided in favour of the party who grants the option and that the limit of the overall duration of the Contract, such overall duration consisting of the sum of the duration provided plus any extension represented by the option […], does not exceed the maximum duration provided by law”. The “specific consideration” of the English version is translated from “corrispettivo specifico” which means that, aside from the five-year ceiling, the condition for the UEO to be valid is an increase in the salary of the player. In Austria these clauses are not invalid as such, but they have to meet the requirements laid down in Section 6(4) of the Collective Agreement for football players of the Austrian Football League (KV-ӦFB), as amended on 1 July 2014. It reads as follows: “The granting of an option to be exercised by a unilateral declaration is only permissible if each party of the contract is granted equal rights and the exercise of the option is linked to equivalent conditions for both parties […]. The date of conclusion of the contract shall be decisive for the assessment of equivalence”. The Austrian Supreme Court recently upheld the decision of the lower courts in a dispute regarding the validity of an extension option contained in a football player’s contract. The one-year agreement, valid from 1 July 2014 to 30 June 2015, contained an option that granted the club the possibility to extend the contractual relationship for two more years, until June 2017, as long as the club exercised it by 31 May 2015. On October 2015 the player remitted his salary payments to the club and referred the case to the Tribunal to question the validity of the option. Both the Court of first instance and the Court of Appeals considered the agreement ineffective as the clause did not meet the requirements of Section 6 (4) KV-ӦFB. The ground on which the two courts reached this conclusion was the lack of equivalency of rights under the agreement, as (i) the increase in salary (of 15%) was not proportionate to the length of the extension; (ii) at the time of signing the contract, the contractual conditions for an extension were not defined. The Supreme Court held that the assessment of the lower courts could not be disputed and reiterated that Section 6 (4) KV-ӦFB is unequivocally clear in requiring the granting of equivalent rights to both parties of the contract for an UEO to be acceptable. Equivalence, the Court continued, that has to be assessed at the date of conclusion of the contract. In Spain the main source of law regarding the employment relationships of professional athletes is the Royal Decree 1006/1985. Regarding the duration of the contract, art. 6 of RD 1006/85 provides that (i) sportsmen contracts are always fixed-term contracts, (ii) the extensions of these contracts, which shall always be definite as well, can be achieved through subsequent agreements between the parties when the contract is about to expire. Paragraph 3 of this provision admits different possibilities of extension in so far as the Collective Bargaining Agreement provides so. On the matter, the current Collective Bargaining Agreement defer in turn to the RD 1006/85, as Art. 14 provides that “by mutual agreement between the Club and the Footballer, the contract may be extended, in the terms established in the second paragraph of article 6 of Royal Decree 1006/1985, of June 26”. At the moment, therefore, it seems that extension options in Spain need to be agreed with the player. Sometimes circumstances other than the CBA can play a role. The United Kingdom and the Premier League, for instance, represent a unicuum in the panorama of the jurisdictions under scrutiny in the sense that, although here – as in other countries – the employment relationship is governed by national law, collective agreements and the rules of the Football Association (FA), two specificities place this system in a peculiar position. First of all, in the United Kingdom collective agreements are not legally enforceable. It is true that the terms of a collective agreement may be binding and enforceable between the parties of an employment relationship if these have been incorporated into the individual contract. However, a court may nonetheless conclude that the term is not enforceable. Secondly, no single overarching collective agreement encompasses the employment relationship between clubs and players in the Premier League. There are, instead, a series of collectively negotiated agreements, such as the Standard Players’ Contract. In an early decision that challenged the English ‘Retain and Transfer System’ as an unlawful restraint of trade, the High Court placed emphasis on the inequality of bargaining power in a professional football player’s relationship with a club, stating that “in the football industry players commonly enter into their first contract either while they are under 21 or shortly afterwards, and that wherever they may subsequently go, within the Football League, there is only one form of contract they can sign. The Court must be careful to see that contracts made in these circumstances are justifiable in the interests of both parties”. That said, although there is no CBA in place that can enlighten us about the validity of UEOs, a satisfying answer could nonetheless be found in the Courts’ rulings concerning contracts in the (to some extent) comparable context of the music industry. The profession of the musician resembles in various aspects that of the football player. As for footballers, musicians’ contracts are linked to their performance, in terms of copies of albums sold, concert tickets sold, royalties from the ads etc. The more a musician is perceived to be promising, the more lucrative the contract he can get from the record company will be. Just as sports professionals, musicians often begin their career in their prime age. In order to get a foot in their respective highly rewarding industries, sportsmen and musicians might agree to contractual clauses without fully understanding the consequences or, more likely, even if they do fully understand the implications of such contracts they may feel they have no option but to sign them if they want their career to start or progress. This similarity allows us to draw some useful comparisons from the case law of UK courts regarding musicians. For instance the House of Lords declared void an agreement between a young and unknown musician by the name of Tony Macaulay and the publishing company Schroeder Music Publishing Co Ltd, which contained a clause extending to 10 years the original five-year undertaking of the company. When he signed the contract, the musician was aged 21. The agreement provided that the duration of five years would have been extended to 10 in case the royalties for the first five years exceeded £ 5,000. In the words of Lord Reid “if the respondent’s work became well known and popular he would be tied by the agreement for ten years”. In consideration of the duration of the contract and the fact that the payment received by the author was minimal unless his work was released, which was not an obligation for Schroeder Music according to the contract, Lord Reid was of the opinion that the publishers’ appeal had to be dismissed. His reasoning was grounded on the consideration that “if contractual relations appear to be unnecessary or to be reasonably capable of enforcement in an oppressive manner, then they must be justified before they can be enforced”. Lord Diplock deemed the contract unenforceable due to its substantial unfairness and emphasised the need to accord protection to “those whose bargaining power is weak against being forced by those whose bargaining power is stronger to enter into bargains that are unconscionable”. For the same reason, the English Court of Appeal struck down as void a publishing agreement between the already established band Fleetwood Mac and the publisher which tied the band to the company for a five year period plus the possibility to extend the relationship for another five years. The court held that the publishing agreement gave the company “a stranglehold over each of the composers” and found the contract fundamentally unfair to the group. These two decisions give us an insight on how under English law, where – it is important to bear in mind – as a general rule the letter of the contract prevails, clauses of these kind tying professional musicians have been considered null and void because of the disproportionate contractual power between the parties. A conclusion that was confirmed even when the band concerned was not unknown. It is easy to see how such reasoning could be applied to UEOs in professional football. The last unknown is the position of EU law with regard to UEOs. In many ways, UEOs are contractual mechanisms used to attenuate the consequences of the Bosman ruling. Indeed, they give the club the opportunity to prolong an employment contract without the consent of a player, and therefore to obtain compensation in case the player wishes to move to another club. However, the striking difference with a Bosman situation is that this contractual set-up is not mandated by the private regulations of the football federations or leagues. Instead, it is negotiated ab initio between the contractual parties, and hardly ever imposed by a collective agreement. Thus, as long as the original free will of the player is not constrained by private rules, which in fact might be the case in a closed labour market where the clubs can act as an oligopoly and (implicitly) coordinate their behaviour, one could argue that the free movement of a player is restricted only by his or her own free will. In its more recent Bernard ruling, the CJEU came close to dealing with an UEO, but here again the forced prolongation of the contract was imposed by the French collective bargaining agreement in force at the time of the dispute and not negotiated on an individual basis between the parties. Therefore, it is relatively unlikely that EU law could be successfully invoked to challenge the validity of UEOs, unless those are at least identified as a collective practice or informal rule applied by clubs against the will of players. Notwithstanding the hardly avoidable incompleteness of the above comparative sketch, a short conclusion on the validity of UEOs in light of national and European law is in order. First of all, it is clear that no single answer prevails Europe-wide. The brief analysis carried out shows that each of the jurisdictions scrutinised approaches the topic differently. The only uniformly shared regulatory trait is that national legislators have not regulated the matter. Instead, we had to look for potential answers in the jurisprudence of local courts, more often than not extrapolating from cases outside of the realm of football. Furthermore, legislators commonly delegate to CBAs the duty to define the employment conditions of professional football players. In short, the legality of UEOs is usually dependent on the interpretations of local courts or the decisions of local social partners. However, where UEOs are deemed valid, it is always under stringent conditions such as a strict limit to the overall duration of the extended contract and the provision of a substantial increase in salary. Hence, the validity of UEOs hinges on the rather subjective evaluation of the overall fairness of a specific UEO in the context of a specific contract. Whether this is also true of the jurisprudence of the DRC and the CAS when confronted to UEOs will be the subject of our next blog. The reference is obviously to young players older than 18, as in respect of contracts of minors art. 18 FIFA RSTP is crystal clear in prohibiting the signing of contracts longer than three years. D. F.R. Comparie, G. Planás R.A. and S-E. Wildermann, Contractual Stability in Professional Football: Recommendations for Clubs in a Context of International Mobility, 2009, p.27. The authors point out that, although transfer fees constitute an important part of every clubs’ financial income, some clubs, particularly those with smaller broadcasting revenues, rely on them to a great extent. Usually, clubs which cover their costs mainly through transfer fees tend to build a good youth development, because being able to sell the players when they are valued the most is financially crucial for them. F. de Weger, The Jurisprudence of the FIFA Dispute Resolution Chamber, Asser Press, 2016, p. 164. 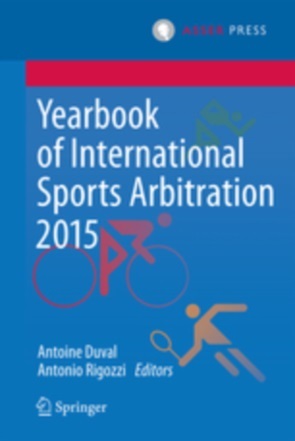 The few existing contributions on this question are F. De Weger, The Jurisprudence of the FIFA Dispute Resolution Chamber, Asser Press, 2016, pp 163- 191 and W. Portmann, Unilateral option clauses in footballers’ contracts of employment: an assessment from the perspective of international sports arbitration,Sweet Maxwell Int Sports Law Rev, 2007, 7(1):6-16. See UEFA Club Licensing and Financial Fair Play Regulations (2015 Edition), which, at ANNEX VI (B)(ix), includes players as intangible assets among the assets that need to be disclosed for balance sheet requirements and, at ANNEX VII (C)(1), sets out the minimum accounting requirement “for player registrations carried out as intangible fixed assets as set out in Articles 47, 48 and 52”. For a similar view, see Jan Kleiner, Der Spielervertrag im Berufsfussball, Schulthess, 2013, at pp. 891-900. Art. 335a para 1 Swiss Code of Obligations reads as follows: “Notice periods must be the same for both parties; where an agreement provides for different notice periods, the longer period is applicable to both parties”. BGE 96 II 52. The original German version reads as follows: “Eine solche Schranke bildet insbesondere Art. 347 Abs. 3 OR, der die Vereinbarung verschiedener Kündigungsfristen für den Dienstherrn und den Dienstpflichtigen verbietet. Dieses Verbot kann nicht dadurch umgangen werden, dass das Kündigungsrecht oder die automatische Beendigung des Dienstverhältnisses von einer Bedingung abhängig gemacht wird, deren Eintritt einseitig vom Willen des Dienstherrn abhinge. Eine solche Bedingung würde es dem Dienstherrn erlauben, den Vertrag schon auf einen Zeitpunkt zu beenden, auf den der Dienstpflichtige das nicht tun könnte. Ein bedingtes Kündigungsrecht und eine bedingte automatische Beendigung des Dienstverhältnisses dürfen nur vereinbart werden, wenn und soweit der Eintritt der Bedingung vom Willen der Parteien nicht abhängt oder beide Parteien ihn in gleicher Weise herbeiführen können“. ArbG Ulm, judgment of 14 November 2008 – 3 Ca 244/08. Ibid., para. 37. The original German version reads as follows: “Nach § 307 Abs. 1 Satz 1 BGB ist eine formularmäßige Vertragsbestimmung unangemessen, wenn der Verwender durch einseitige Vertragsgestaltung missbräuchlich eigene Interessen auf Kosten seines Vertragspartners durchzusetzen versucht, ohne von vornherein auch dessen Belange hinreichend zu berücksichtigen und ihm einen angemessenen Ausgleich zu gewähren. Die Feststellung einer unangemessenen Benachteiligung setzt eine wechselseitige Berücksichtigung und Bewertung rechtlich anzuerkennender Interessen der Vertragspartner voraus. Bei diesem Vorgang sind auch grundrechtlich gestützte Rechtspositionen zu beachten. Zur Beurteilung der Unangemessenheit ist ein genereller, typisierender, vom Einzelfall losgelöster Maßstab anzulegen. Im Rahmen der Inhaltskontrolle sind dabei Art und Gegenstand, Zweck und besondere Eigenarten des jeweiligen Geschäfts zu berücksichtigen. Zu prüfen ist, ob der Klauselinhalt bei den typischen Interessen der beteiligten Verkehrskreise eine unangemessene Benachteiligung des Vertragspartners ergibt (vgl. BAG Urteil vom 18.03.2008 9 AZR 186/07 Rn. 19, NZA 2008, 1004 ff.). § 6 a Spielervertrag gibt nur dem Arbeitgeber das Recht, den Vertrag um ein Jahr zu verlängern. Will der Spieler den Arbeitgeber nach Ablauf der Laufzeit des Vertrages wechseln und übt der Arbeitgeber sein einseitiges Optionsrecht für die Vertragsverlängerung rechtzeitig aus, führt das dazu, dass ein aufnahmebereiter Arbeitgeber eine Freigabe des Spielers durch den bisherigen Arbeitgeber nur gegen Zahlung einer Transferentschädigung erhalten wird. Durch die Transferentschädigung reduziert sich die Aufnahmebereitschaft von neuen Arbeitgebern und die Verdienstmöglichkeit des Arbeitnehmers bei neuen Arbeitgebern. Der Kläger verursacht dem neuen Arbeitgeber bei einem ablösefreien Wechsel weniger Kosten. Der budgetierte neue Arbeitgeber kann dem Kläger in diesem Fall eine höhere Vergütung zahlen. Die einseitige Optionsklausel dient nur dazu, dem abgebenden Arbeitgeber eine zusätzliche Einnahme in Form einer Transferentschädigung zu verschaffen. Sie behindert damit erkennbar die Berufsfreiheit des Arbeitnehmers nach Artikel 12 Abs. 1 Satz 1 Grundgesetz, wonach alle Deutschen u. a. das Recht haben, die Arbeitsstätte frei zu wählen. Das Interesse des Beklagten an einer Einnahmequelle aus einem Spielertransfer hat hinter dem grundgesetzlich geschützten Interesse des Klägers an der Berufsfreiheit zurückzutreten”. BAG, judgment of 25 April 2013, 8 AZR 453/12. Dutch KNVB Arbitration Tribunal, 4 June 2004 n. 1022. M. Colucci and F. Hendricks, Regulating Employment Relationships in Professional Football. A Comparative Analysis, European Sports Law and Policy Bulletin 1/2014, p. 254. To sports contracts do not apply Art. 4, 5, 13, 18, 33, 34 L. 300/1970, regulating, among others, medical assessments and dismissals and Art. 1, 2, 3, 5, 6, 7, 8 L. 604/1966. To fixed term contracts, the provisions of L. 230/1962 do not apply. Colucci, Hendricks, Regulating Employment Relationships in Professional Football. A Comparative Analysis, European Sports Law and Policy Bulletin 1/2014, 201 – 202. The original German version reads as follows: “Die Einräumung von durch einseitige Erklärung auszuübenden Gestaltungsrechten (Optionsrechten) ist nur zulässig, wenn sie jedem Vertragsteil gleichwertige Ansprüche einräumt und auch die Art der Ausübung des Optionsrechtes für beide Teile an gleichwertige Bedingungen geknüpft ist (z.B. einseitige Vertragsverlängerungsmöglichkeit durch den Klub bei bereits vorab festgesetzter Gehaltserhöhung für den Spieler oder sonstiger gleichwertiger Verbesserungen für den Spieler, wobei stets die besonderen Umstände des Einzelfalles [Alter des Spielers, Dauer der Vertragsverlängerung] zu berücksichtigen sind). Für die Bewertung der Gleichwertigkeit ist der Zeitpunkt des Vertragsabschlusses maßgeblich”. Ibid., The original German reads as follows: “Das Erstgericht gab dem Klagebegehren statt. Es kam zu dem Ergebnis, dass die Optionsvereinbarung unwirksam sei, weil sie nicht den Voraussetzungen des § 6 KV-ÖFB entspreche. Den Vertragsteilen würden durch diese Vereinbarung keine gleichwertigen Ansprüche eingeräumt. Der „Sideletter“ zum Spielervertrag, der ein höheres Gehalt für die Verlängerungszeit regelte, sei nicht statutengemäß unterfertigt worden und daher nicht wirksam geworden; darüber hinaus sei diese Gehaltserhöhung im Verhältnis zur Dauer der Verlängerung auch nicht angemessen. Das Berufungsgericht gab der Berufung des Beklagten dagegen keine Folge. Auf die Frage des rechtswirksamen Zustandekommens der im „Sideletter“ vorgesehenen Vereinbarung komme es hier nicht an, weil § 6 Abs 4 des KV-ÖFB die Gleichwertigkeit der Ansprüche beider Vertragsteile bereits zum Zeitpunkt des Vertragsabschlusses fordere und die dem Beklagten im Spielervertrag eingeräumte Option daher dem Kollektivvertrag widerspreche. Bei Abschluss des Vertrags sei nicht festgesetzt worden, mit welchen Verbesserungen der Kläger im Fall der Verlängerung rechnen könne; eine Lösungsbefugnis des Klägers sei auch nicht vorgesehen. Außerdem sei die Option wegen ihrer Dauer (Verlängerung doppelt so lang wie das befristete, eigentliche Vertragsverhältnis) nicht als gleichwertig anzusehen. Wenngleich das Interesse eines Fußballvereins an einer einseitigen Verlängerungsmöglichkeit insbesondere im Nachwuchsbereich plausibel sei, dürfe sich der Verein nicht vom Risiko der sportlichen Entwicklung des Spielers zu dessen Lasten (weitgehend) befreien. Hier sei die Option wegen der doppelten Länge der ursprünglichen Vertragsdauer schließlich auch im Fall einer Erhöhung des Entgelts um nur 15 % (wie im „Sideletter“ vorgesehen) nicht als ausreichend gleichwertig anzusehen“. Art. 6 RD 1006/1985 reads as follows: “La relación laboral especial de los deportistas profesionales será siempre de duración determinada, […].Podrán producirse prórrogas del contrato, igualmente para una duración determinada, mediante sucesivos acuerdos al vencimiento del término originalmente pactado. Solamente si un convenio colectivo así lo estableciere podrá acordarse en los contratos individuales un sistema de prórrogas diferente del anterior, que en todo caso se ajustará a las condiciones establecidas en el convenio”. 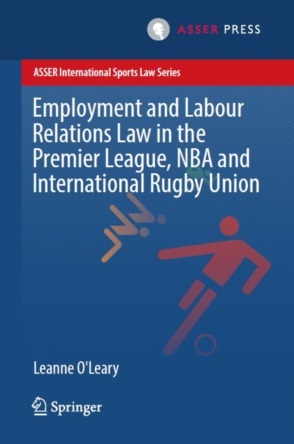 L. O’Leary, Employment and Labour Relations Law in the Premier League, NBA and International Rugby Union, T.MC. Asser Press, 2017, p.204. Eastham v Newcastle United Football Club  Ch 413, p. 428, cited in in Leanne O’Leary, Employment and Labour Relations Law in the Premier League, NBA and International Rugby Union (2017), 5. S Gardiner, M James, J O’Leary and R Welch with I Blackshaw, S Boyes and A Caiger, Sports Law – Third Edition (2006), 494.